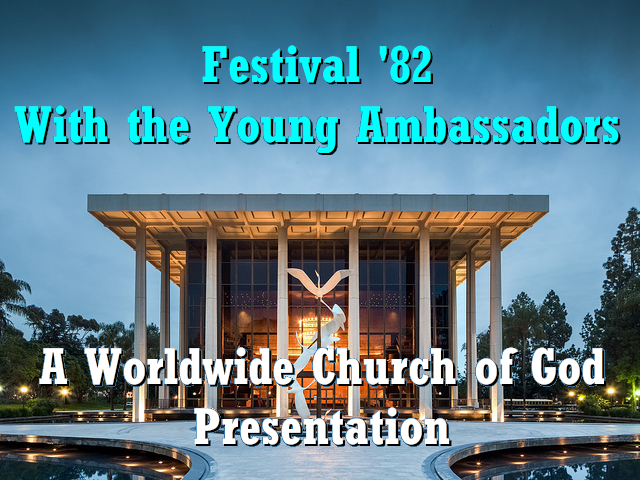 From the beautiful campuses of Ambassador College welcome to festival '82 and now here are the Young Ambassadors... Hello and welcome to all of our brethren around the world, as you may have guessed, were looking forward to sharing some rather unusual experiences with you this year. It's going to be extra special for Brenda Peterson and her brother Rick, their busily perfecting the art of hot air ballooning for an upcoming trip to our sister campus in Big Sandy. Well right now the Pasadena Campus is buzzing with activity as the Ambassador Students report to their jobs ready for a hard day's work.